Step by step process to get FBI clearance with fingerprints for immigration. 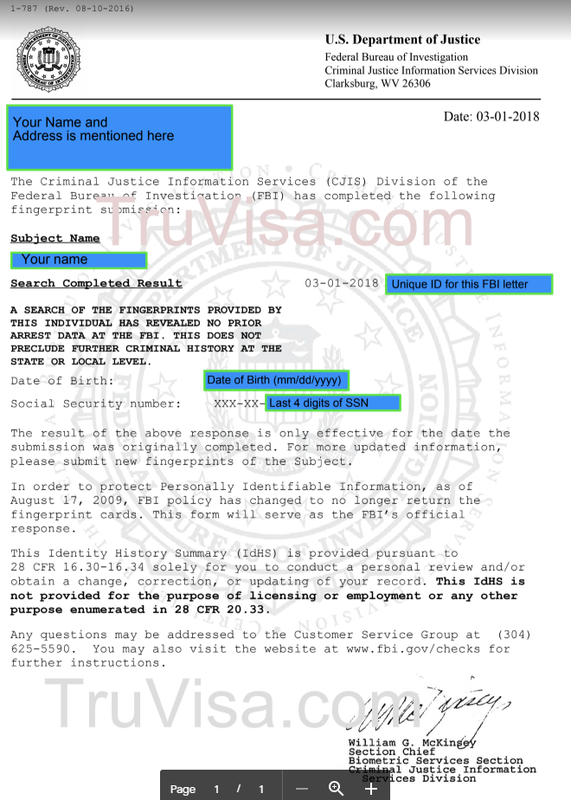 Do I need FBI police certificate for Canadian Express Entry? FBI clearance certificate is required for Canada Permanent residency if you have lived in USA anytime during past 10 years. Is FBI police clearance required for Australia PR? FBI clearance is required for Australia Permanent residency if you have lived in USA anytime during past 10 years. If you are Invited to Apply Canadian, you need to upload a police certificate in your Electronic Application for Permanent Residence (e-APR). Similarly, FBI certificate is required to be uploaded on immiaccount for Australia PR as part lodging documents.